A 2016 study determined that, at the ocean acidification levels expected by the end of the century if we do nothing to draw down CO2 emissions, twice as many cod larvae will die within their first 25 days, causing the number of cod who reach maturity and reproduce to drop by 8 and 24 percent for the Western Baltic and Barents Sea populations, respectively. Scientists hoped that those cod who managed to reach maturity might be helping the species adapt to the conditions brought on by global climate change. But new research appears to have dashed those hopes. Stiasny was among the scientists who’d hoped that those cod larvae that did make it to adulthood would help make their population more resilient. “So far, we liked to believe that at least the larvae that survived would be able to deal with these conditions, and could have, across generations, allowed the species to adapt,” she said in a statement. But a new study Stiasny led, which was published in the journal Global Change Biology last month, found that surviving cod larvae suffer significant organ damage and developmental delays that could cause problems throughout their lifetimes. 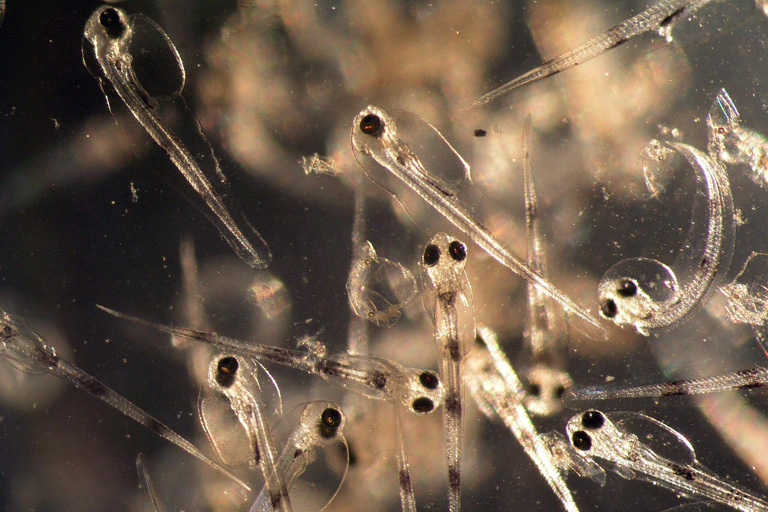 Decreasing pH values in seawater harm cod larvae more than previously thought. Photo Credit: Catriona Clemmesen/GEOMAR, licensed under CC BY 4.0. 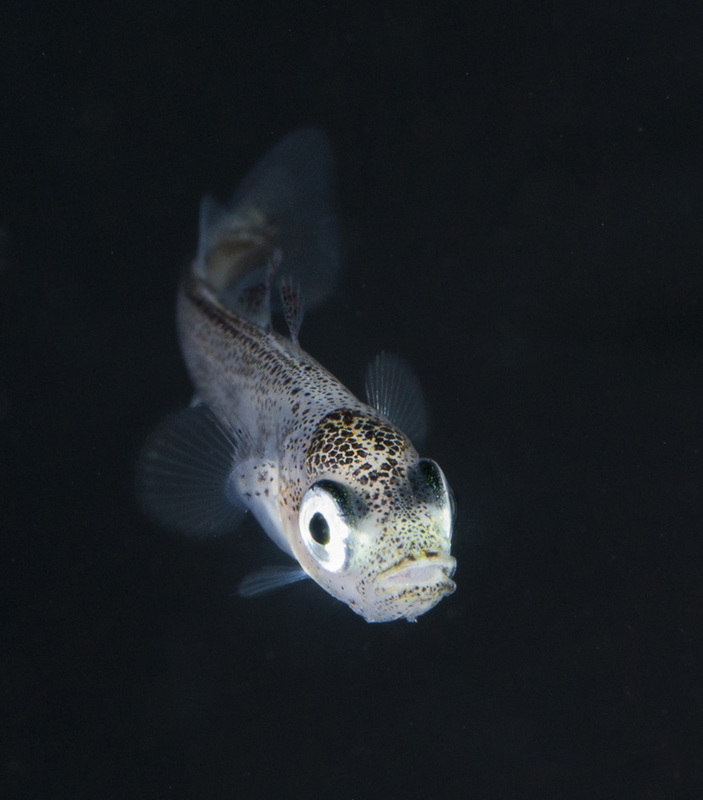 In addition to manipulating CO2 levels to study the effects of acidification on larval development, Stiasny and team also limited the amount of food available to the cod larvae involved in their experiments so they could study how the two stressors might interact. They found that larvae fed without restriction exhibited little difference in growth and skeleton formation whether they were subjected to elevated CO2 levels or not. Larvae subjected to “energy limitation,” meaning their access to food was restricted, in addition to elevated CO2 levels were found to be significantly larger and to have better-developed skeletal structures than those subjected to energy limitation but normal CO2 levels. However, critically important organs like the liver were impaired in the cod subjected to elevated CO2 levels, and they had comparatively smaller gills, as well. “It is therefore likely that individual larvae that had survived acidification treatments will suffer from impairments later during ontogenesis,” the authors write in the study. Gill development in mature cod that were subject to ocean acidification in early life stages is especially worrying: “Compared to the body size, they are underdeveloped,” Catriona Clemmesen, a study co-author and head of the larval ecology group at GEOMAR, said in a statement. Gills are not only vital for oxygen uptake in fish, but also for adjusting their internal pH. Stiasny led another study, published last year, that found that acclimation of the parental generation to ocean acidification can compensate somewhat for reduced larval survival rates, but only when food is readily available, meaning prey concentrations in the wild would have to be quite high — perhaps unrealistically high. 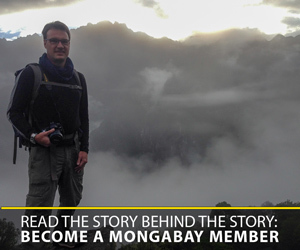 “These ideal situations are very unlikely to be encountered by the larvae in nature,” Clemmesen said. In a more realistic food availability scenario, exposing the parental generation to acidification only leads to even worse health outcomes for cod larvae. A young cod. Photo Credit: Fredrik Jutfelt/NTNU.